“Personally Mr. Dana was one of the most attractive and charming of men,” recalled New York politician Chauncey M. Depew. 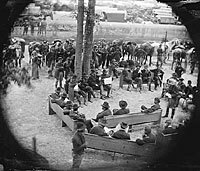 “As assistant secretary of war during Lincoln’s administration he came in intimate contact with all the public men of that period, and as a journalist his study was invaded and he received most graciously men and women famous in department of intellectual activity. 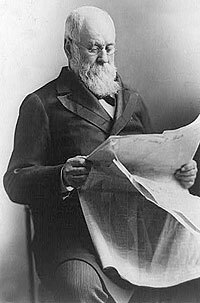 His reminiscences were wonderful and his characterizations remarkable.”1 Charles A. Dana was appointed managing editor of the Tribune by Horace Greeley in 1849 after Dana returned from an extended trip to Europe. Dana probably met Greeley at Brook Farm, an experiment in Christian socialism where Dana was resident in the early 1840s and where Greeley was a frequent visitor. The Dana-Greeley match was a difficult marriage that lasted for 13 years. Greeley was the public face of the Tribune — in his columns and his frequent lectures tours. Dana was the workhorse who managed the editorial product. “Like Greeley, Dana was ambitious, stubborn, vain and an opportunist. Though Dana understood from the start that he could advance his career by an association with the Tribune, the benefits of the arrangement were far from one-sided. Horace Greeley, aware of his own limitations as a manager, recognized the need for a lieutenant able to direct the daily operations of the paper. In Dana he believed he had found his man,” wrote journalism historian Janet Steele.3 Ultimately, Greeley found that the Tribune was big enough for only one vain man. 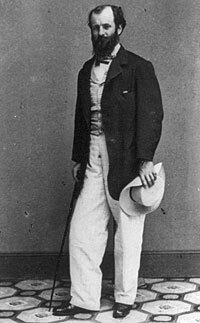 I have been associated with Horace Greeley on the New York Tribune for about fifteen years when, one morning early in April, 1862, Mr. Sinclair, the advertising manager of the paper, came to me, saying that Mr. Greeley would be glad to have me resign. I asked one of my associates to find from Mr. Greeley if that was really his wish. In a few hours he came to me saying that I had better go. I stayed the day out in order make up the paper and give them an opportunity to find a successor, but I never went into the office after that. I think I then owned a fifth of the paper — twenty shares; this stock my colleagues bought. Mr. Greeley never gave a reason for dismissing me, nor did I ever ask for one, I know, though, that the real explanation was that while he was for peace I was for war, and that as long as I stayed on the Tribune there was a spirit there which was not his spirit — that he did not like. After Dana left the Tribune, he was succeeded by Sydney Gay, who y assumed an even more influential role in running the Tribune than Dana had played. Dana himself went from the frying pan directly into the fire. “Since Lincoln’s inauguration in 1861, Dana had worked at establishing close ties with key members of the president’s cabinet. Perhaps he suspected that a break with Greeley was inevitable and was hedging his bets in the event that he might soon be looking for another job,” wrote Steele. Dana became the eyes and ears of the President and the Secretary of War on the western war front. His first job was to “examine and report upon all unsettled claims against the War Department at Cairo, Illinois.” He left for Western front and arrived in Memphis in early July, 1862 and served for several months. Dana performed signal functions for Stanton and Mr. Lincoln in addition to filing his detailed reports. He damned the character and career of General John A. McClernand and praised and protected the career of General Ulysses S. Grant. Indeed, with Congressman Elihu Washburne, Dana became one of the two foremost “experts” on the elusive Civil War commander. Such expertise was necessary because Grant did not even visit Washington until March 1864. Dana wrote Washburne: “My impressions concerning Grant do not differ from yours. I tell everybody that he is the most modest, the most disinterested, and the most honest man I have ever known. I have met hundreds of prominent and influential men to whom I have said that and other things in the same directions. To the question they all ask, ‘Doesn’t he drink?’ I have been able from my own knowledge, to give a decided negative.”25 Dana, however, was less than impressed by General George Meade, the commander of the Army of the Potomac. I sent for the men and saw them one by one. I found that they were afraid of their party….Two of them wanted internal revenue collectors appointed. ‘You shall have it,’ I said. Another one wanted a very important appointment about the Custom House of New York. I knew the man well whom he wanted to have appointed. He was a Republican, though the Congressman was a Democrat. I had served with him in the Republican Party County Committee of New York. According to biographer Steele, “The unnamed Republican whom the Democratic Congressman wanted appointed seems to have been Dana himself.”27 Dana never got his desired appointment — although he tried to get the post under both President Johnson and Grant. Dana served briefly and unsuccessfully as editor of the Chicago Republican. 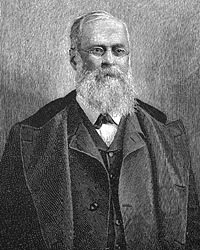 More successfully, in 1867, he became publisher and editor of New York Sun. In that position, Dana exercised a strong influence on broadening the thrust of post-war journalism. Chauncey M. Depew, My Memories of Eighty Years, p. 344-345. Jeter Allen Isely, Horace Greeley and the Republican Party, 1863-1861: A Study of the New York Tribune, p. 6-7. Janet E. Steele, The Sun Shines for All: Journalism and Ideology in the Life of Charles A. Dana, p. 30. Charles J. Rosebault, When Dana Was the Sun: A Story of Personal Journalism, p. 50. James Harrison Wilson, The Life of Charles A. Dana, p. xi. Harry J. Maihaifer, The General and the Journalists: Ulysses S. Grant, Horace Greeley, and Charles Dana, p. 144-145. Alexander K. McClure, Abraham Lincoln and Men of War-Times, p. 463. James Harrison Wilson, The Life of Charles A. Dana, p. xi-xii. James Harrison Wilson, The Life of Charles A. Dana, p. 161. Don C. Seitz, Horace Greeley: Founder of the New York Tribune, p. 207-208. Janet E. Steele, The Sun Shines for All: Journalism and Ideology in the Life of Charles A. Dana, p. 41. Jeter Allen Isely, Horace Greeley and the Republican Party, 1863-1861: A Study of the New York Tribune, p. 324. James M. Perry, The Bohemian Brigade, p. 48. James M. McPherson, Battle Cry of Freedom, p. 334. Oliver Carlson, The Man Who Made News: James Gordon Bennett, p. 324. Janet E. Steele, The Sun Shines for All: Journalism and Ideology in the Life of Charles A. Dana, p. 45. Charles A. Dana, Recollections of the Civil War, p. 25. Harry J. Maihaifer, The General and the Journalists: Ulysses S. Grant, Horace Greeley, and Charles Dana, p. 134. Michael Burlingame, editor, Dispatches from Lincoln’s White House: The Anonymous Civil War Journalism of Presidential Secretary William O. Stoddard, p. 146 (April 6, 1863). Brooks D. Simpson, Ulysses S. Grant: Triumph Over Adversity, 1822-1865, p. 179. Janet E. Steele, The Sun Shines for All: Journalism and Ideology in the Life of Charles A. Dana, p. 53. Janet E. Steele, The Sun Shines for All: Journalism and Ideology in the Life of Charles A. Dana, p. 114-115. Janet E. Steele, The Sun Shines for All: Journalism and Ideology in the Life of Charles A. Dana, p. 55 (Letter from Charles A. Dana to Elihu Washburne, August 29, 1863). James Harrison Wilson, The Life of Charles A. Dana, p. 357. Janet E. Steele, The Sun Shines for All: Journalism and Ideology in the Life of Charles A. Dana, p. 72.